After the DVD "L'air et le geste" Stephane Milleret offers you a set of teaching videos. 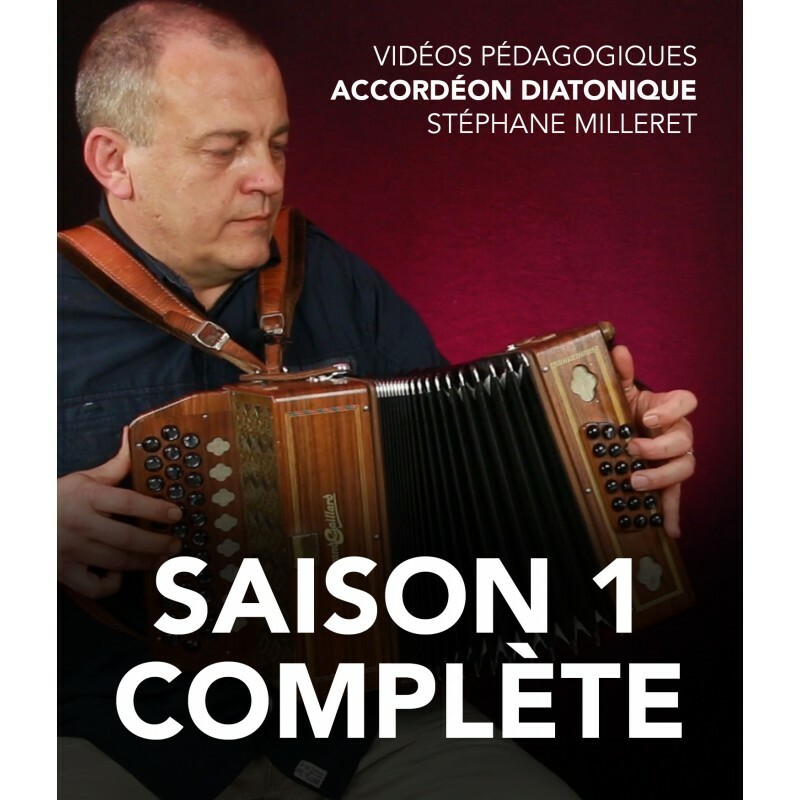 This is a full diatonic melodeon course, suitable for those at improver or experienced level, seeking new techniques, or a wider repertoire. It is suitable for 2 or 3 row instruments, and for most keyboard layouts. 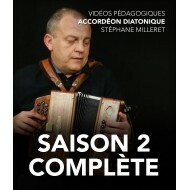 The first season offers 10 episodes of about 20 minutes each, with English subtitles. 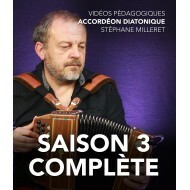 In each of the episode a melody and its associated techniques are explored (rhythm, left hand accompaniment, air control, groove, phrasing, ornamentation …). 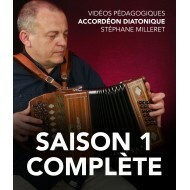 The lessons are played on a G/C melodeon and are more easily followed on an instrument with these rows available. Helper rows, or extra base buttons will be advantageous, but are not completely necessary.